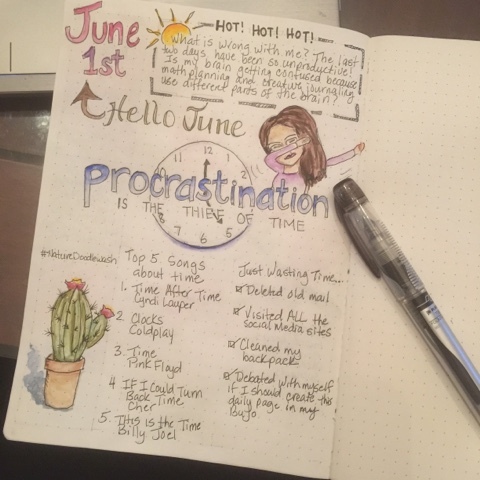 If you've followed my blog, you know that I have a bullet journal to keep track of appointments, tasks, notes, and whatever else I need to write. I also have a fauxbonichi that illustrates my day or I illustrate a quote that's meaning for me on a particular day. 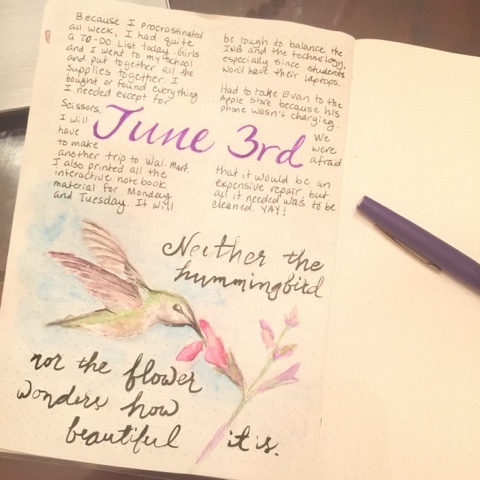 When I started teaching in January, I stopped drawing but kept my bullet journal for all the new to-do's. As I mentioned in my previous post, I have a new dotted Tomoe River journal which I wanted to use for a bullet journal. And because I love TR paper so much, I started to draw again.. 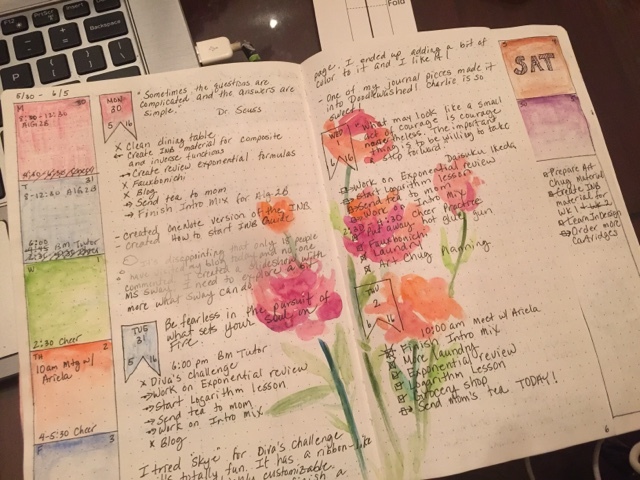 So I thought, "why couldn't I combine my bujo and fauxbo?" And if I do a one-page daily, I can manage a quick doodle even when I'm busy.. 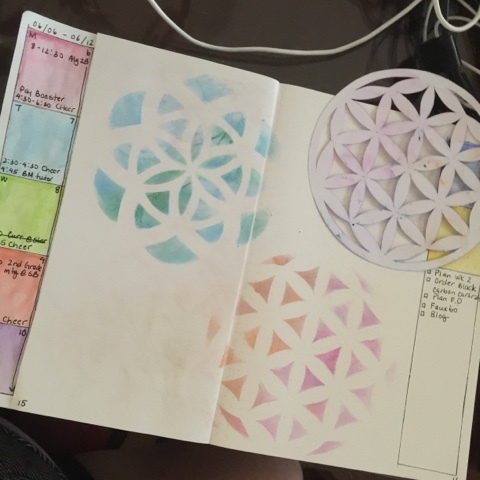 So here are sample pages from my bujo/fauxbo combo.. This is my filled weekly/daily spread. 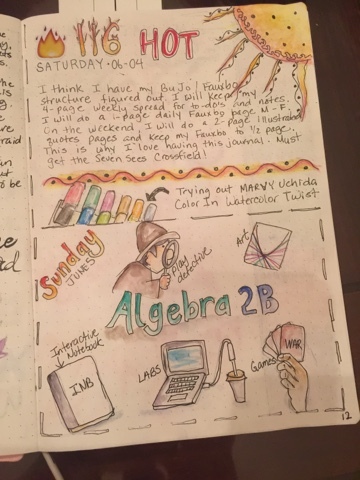 And for the weekend, I'm going to do half a page per day, just so I can start my weekly spread on the next page without wasting paper. 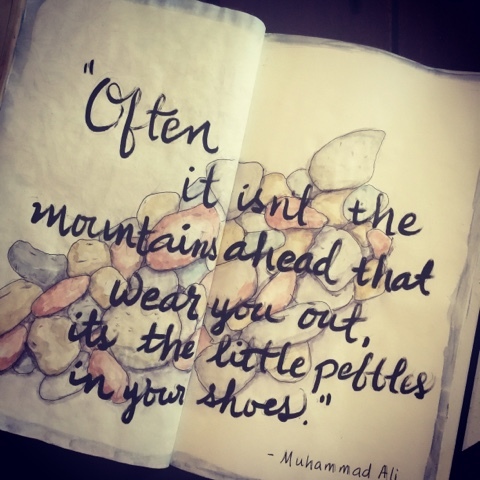 I even had time on Saturday to create a two-page illustrated quote to honor Mohammed Ali, which you see at the beginning. 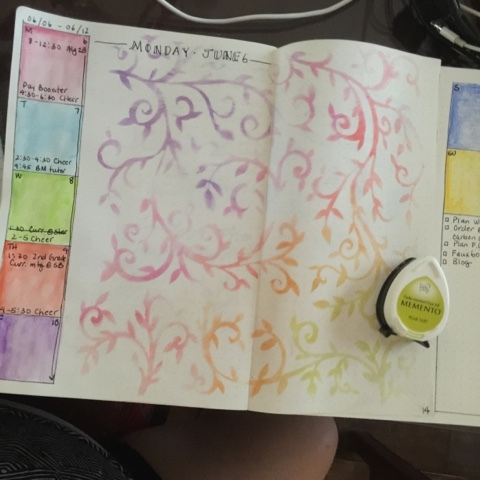 My weekly spread for next week looks like this.. I decided to stencil the background a bit. 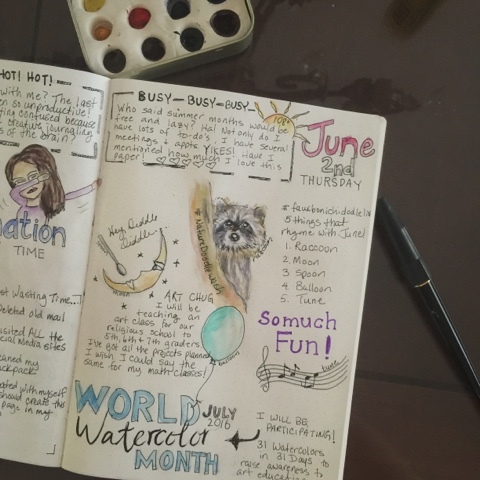 And I'm going to post on the weekend to show you my daily pages and other pieces I may create.. I hope you have a great week! I start teaching summer Algebra 2 tomorrow! Should be fun! 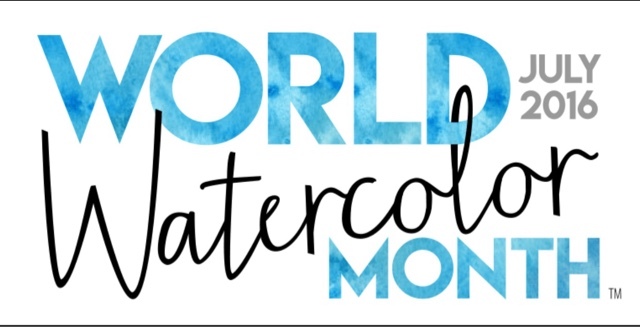 My friend, Charlie O'Shileld over at Doodlewash petitioned to have July be the official month dedicated to watercolors! And Charlie has challenged artists from all over the globe to participate in 31 watercolors in 31 days. Check out the details here. I can't wait to participate! Hope you can too!